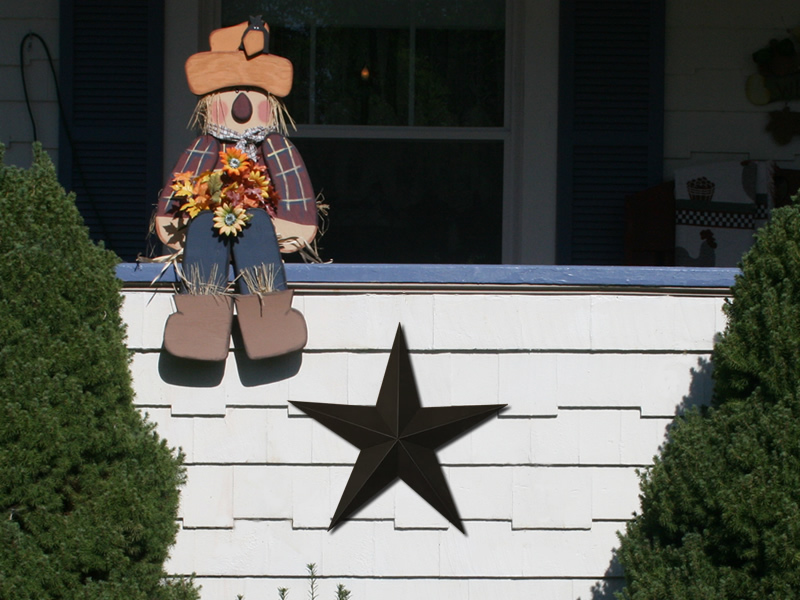 Our Large HEAVY DUTY painted metal barn stars come in many sizes and colors. We prime our large metal stars with an industrial strength primer and then use a "severe exterior weather 25 year plus paint". This combination of primer and paint allows you to use the large stars indoors to decorate your home decor and outdoors to accent your home and garden with your own unique choice. Galvanized Metal Will Not Rust On The Back Of Your Stars! Our large barn stars are NOT like those made of thin tin metal stars you see in so many stores. Our big metal stars are cut and bent from 22 gauge HEAVY DUTY galvanized metal by our Amish friends here in Ohio and then painted by us gere at MetalBarnStars.com. Hang on your inside walls for metal wall star art, outside, or whatever you decide these decorative metal stars are sure to be an accessory that you will love. Solid color finishes get an industrial strength primer and a 25 year plus paint fora crisp, clean look. Save on shipping costs by purchasing more than one. Give the shipping rates a try in your shopping cart for multiple stars and you will see the savings!